Welcome to Vista Clean Junk Removal. 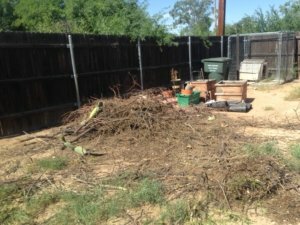 We offer junk and debris removal in the greater Tucson metropolitan area. Vista Clean Junk Removal prides itself on being different than the ‘typical’ trash removal company. Our guys are fast, courteous and professional. 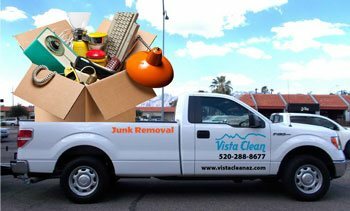 Vista Clean Junk Removal Tucson is locally owned and not part of a larger corporate franchise therefore; we are able to give you personal service, save you time and money. 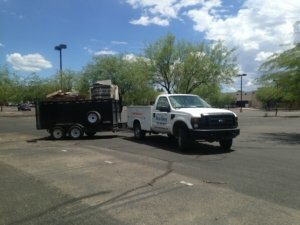 Our trash removal services are available to both residential and commercial customers. We are thoughtful about where your junk ends up too. Vista Clean Junk Removal, recycles and reuses as much junk as possible. We donate and recycle as much as we can to local Tucson charities and non-profits. Our process is simple. 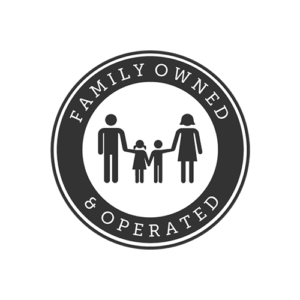 Give us a call or schedule online, we’ll come out in short order, show us your junk or debris to be removed we will give you a great quote on the spot and away it goes quickly and efficiently. We always clean up after ourselves by sweeping up the area and picking up any litter that may be around. Your satisfaction is our primary objective. 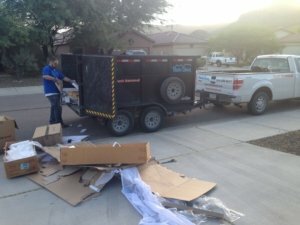 See for yourself why we are Tucson’s local junk removal service. You just can’t imagine my relief when I found you guys on the internet. When you agreed to come as soon as possible and haul away my old carpet and pad without having to inconvenience me with a dumpster box in my driveway it was like hitting a Jackpot. 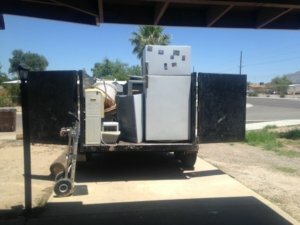 I didn’t know what to expect, but it was so quick and easy, and you both were so very helpful, and reasonable on your price that I am telling all my new neighbors about your wonderful service. I liked your ingenious idea of putting the box on wheels, so it doesn’t damage the concrete. I wish you two the very best and you have me as a testimonial to your business forever. It was wonderful to have two strong, clean-cut young men show up to clean out my carpet and pad. Thank you for picking up the bed frame and box springs at my house this morning. This is the second time that I have used your company within the last two months. Both experiences were very pleasant. I look forward to working with you in the future. Thanks Todd for getting all that ‘stuff’ cleared out for us today! It was a big job and I appreciate how hard you both worked. Great price, arrived on time, and took away my junk, just as expected! Very accommodating– I called around 7:30am , scheduled item for pick up between 9 and 11, called when almost here, arrived 9:45 and were done by 9:55! Price very reasonable. 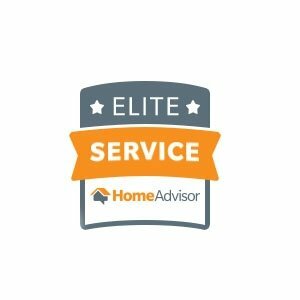 Would definitely use your service again and will recommend to anyone needing this service. You were able to accommodate us at very short notice (within a day) for a house move-out. Also you swept out the garage after loading all the junk–Marvelous! Talking Todd initial about the pick up, was easy and reasonable. I felt like I was treated with respect. Then the two gentleman that picked up, were amazing. They were kind and nice, and worked hard to get the job done with smiles. Plus the rates were so reasonable! I will tell everyone about Vista clean. If fact, I will be calling again in a month or so. THANKS! Vista Clean did exactly what they said they would do; exactly when they said they would do it! Todd was very responsive and professional. 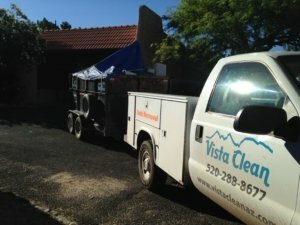 I’d recommend Vista Clean Junk Removal every time!! The men that came out were great. Got about their business and checked with me on many articles that were questionable junk. Treated me, house and yard with respect not as a junk pile. The nicest guys. They did a great job, very hard workers. We will definitely call again when needed. It was the quickest, easiest and most efficient transaction I have ever had. The two men who came were so polite and pleasant. I would definitely use your service again. They kept us informed as to when they would be there and were quick and left everything neat. Thanks! I would definitely recommend them ! Couldn’t be happier with my Vista experience. Todd was very helpful in setting up the appointment and Brent and Josef were here on time and very efficient. Will be happy to recommend to my friends! Could not have asked for a better result. Everything was easy, quick and professional. Will recommend highly to everyone. Thank you! Spa removal was done right with courtesy and efficiency. Workers were clean and professional. We are very satisfied. Arrived early. After a quick look told me the cost and with my approval went right to work. 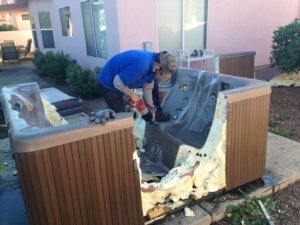 Made quick work of a large hot tub and all the clean up and was even able to take a bit of the extra junk I needed removed. Did a great job in a short time. I will be calling them for more work! Very reliable, professional and efficient!! Would definitely recommend! I appreciate an estimated time by Todd, the owner, and then a call ahead by Brent when he and Julian were going to be here. And granted, even though it took two loads to do the job; the service was well worth it. Thanks again.